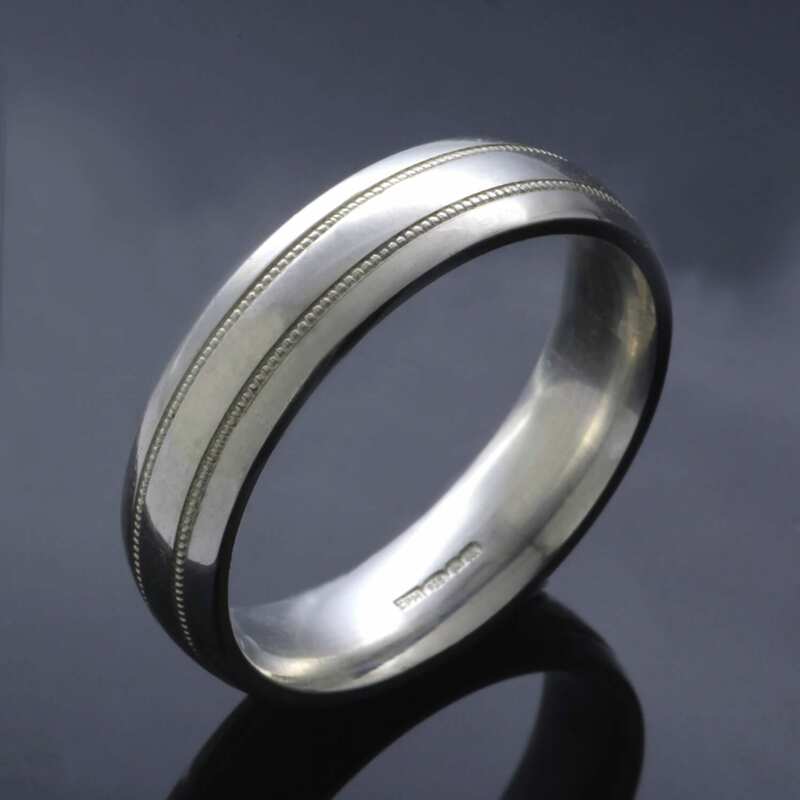 A sleek solid Platinum Court wedding band is given subtle detail through a pair of meticulously Milgrained patterned lines which create texture through a delicate pattern which runs around the outside of the ring. 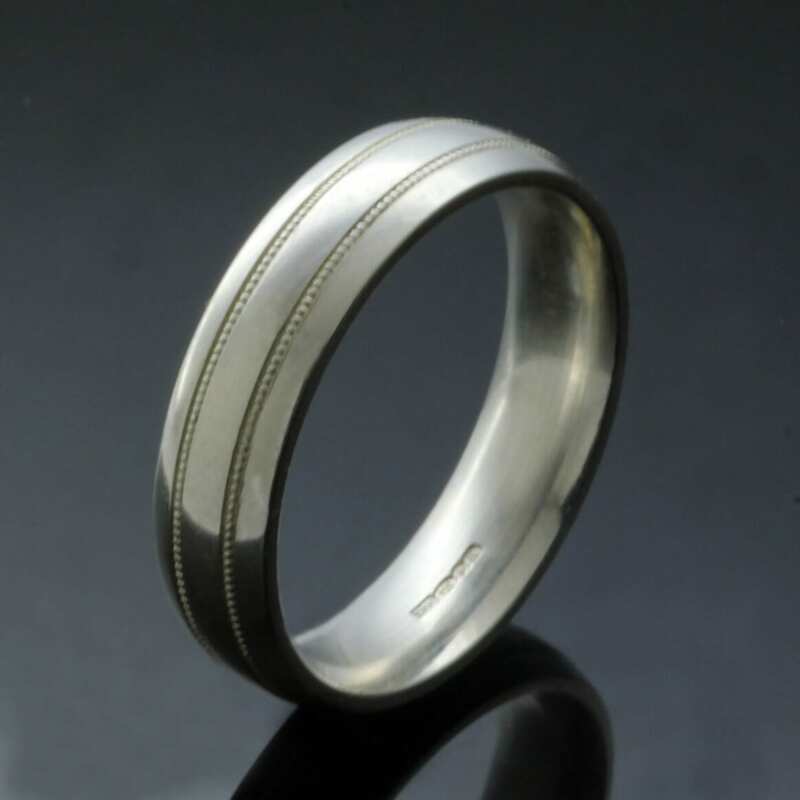 This custom made, unique Platinum wedding band is then finished with a meticulous, expertly hand polished finish to give the wedding band a high gloss shine and shimmer to the surface of the Platinum. 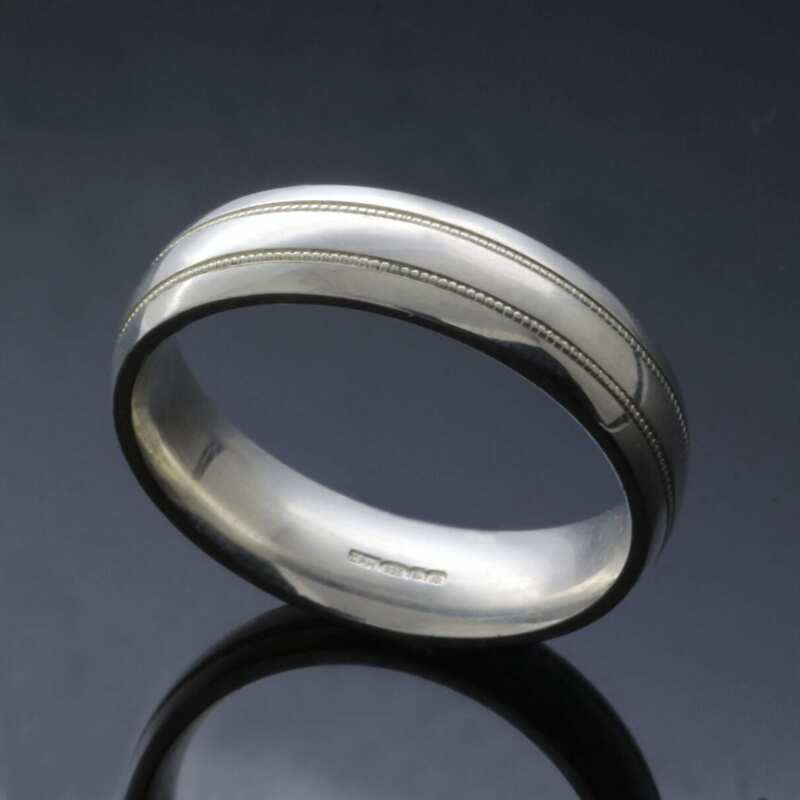 This unique and truly special custom made solid Platinum wedding band is finished with Julian Stephens exclusive makers mark and Hallmarking as a sign of its supreme quality and craftsmanship.